U2’s Bono picked a Capo Grande from the US intelligence community to run his “One” NGO, choosing Gayle Smith, who as Senior Director of the US National Security Council and Special Advisor to President Barack Obama used to tell the CIA what to do, especially when it came to Africa. Ms. Smith, also known as “Obama’s Quiet Consigliere”, is infamous for her heart felt eulogy based on over 30 years of friendship at the funeral for Meles Zenawi, today Ethiopia’s “No.1 Most Hated Person”. Previously head of USAID, known in Cuba as USCIA, Ms. Smith got her start putting time in the front lines for the agency, fresh out of college, spending years as a “journalist” (clergy and journalists are two of the CIA’s favorite covers) in the Horn of Africa of all places. After years of paying her dues “where diarrhea is a way of life”, she became a favorite of Madeline Albright and was awarded the Chief of Staff position at USAID in 1994 only three years after ending her journalism career. Think about it, “Award Winning Journalist” to day to day control of some 10,000 employees and Billion$ to spend in only 3 years? USAID or USCIA? 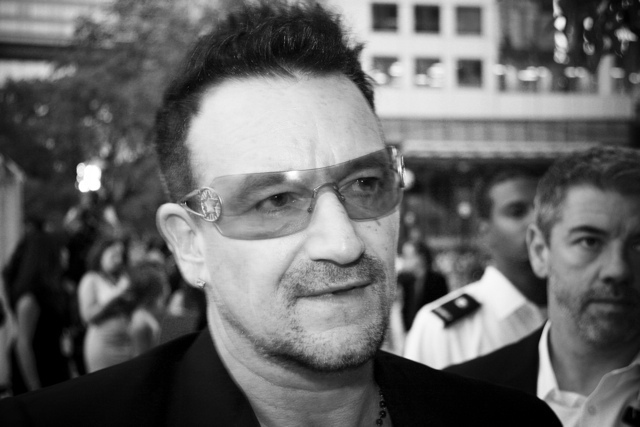 Bono, who recently found himself forced to apologize after his “One” staff in South Africa sued them for sexual harassment, makes sure those that labor for his good causes are well compensated, at least at the top, with Ms. Smith pulling down close to $500,000 a year. Speaking of ethics Bono’s name turned up in the Panama Papers, hey, the guy hates taxes, who doesn’t? Of course for NGO’s fighting on the right side, fat salaries and juicy perks are S.O.P. with “overhead” accounting for 50% or more of expenditures. Gayle Smith has put the CIA and a pretty impressive list of NGO’s on the same page and was the person most responsible for founding the Center for American Progress, whose boss, John Podesta chaired the Hillary Clinton 2016 campaign. Then there is the Enough Project as in “Enough of the CIA’s Enough Project in Africa” and its mouthpiece, George Clooney, founded by Ms. Smith and infamous for occasionally emitting brays of outrage regarding some crime in Africa, often times over matters long past. Does the name John Prendergast ring a bell? Ms. Smith’s proved her value to the Clinton Mafia as head of the Africa desk at the National Security Council in 1998-2000 under Tony Lake, Clinton’s National Security Adviser, when the Ethiopian gangster government under Meles Zenawi invaded Eritrea, a crime today’s Ethiopian P.M. has apologized for. Close to 150,000 dead and 40% of Eritreans refugees, Gayle Smith and Tony Lake were out to get newly independent Eritrea on its knees where it belonged and tried to use Ethiopia to do its dirty work. And when war didn’t work they brought on UN Security Council sanctions against Eritrea in 2009 when Ms. Smith returned to the White House as “Barry O’Bomber’s” right hand and saw that Susan Rice was turned loose at the UN to threaten and cajole enough votes at the UN Security Council. The history of most of the crimes directed by Gayle Smith remain buried deep in the bowels of the US intel community, with yet unknown acts of sabotage and destabilization committed by “humanitarians” working for the USAID in politically troubled spots on the planet.